Happening History provide displays on various aspects of medieval life. All our displays are interactive and hands on. Imagine letting your visitors try on armour, take part in a trial, make butter or flour or make a medicine, and much more. 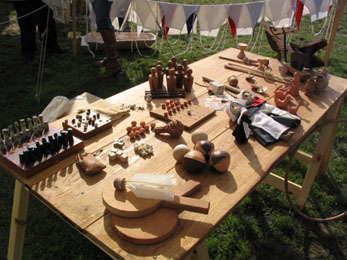 We can provide displays on many aspects of medieval life. Whether it’s interactive timed talks or just passing trade you want. From ages 5 to 105 we have displays that will delight, entertain and educate all.